Malahide parkrun was the first event to start in Ireland, way back in 2012. 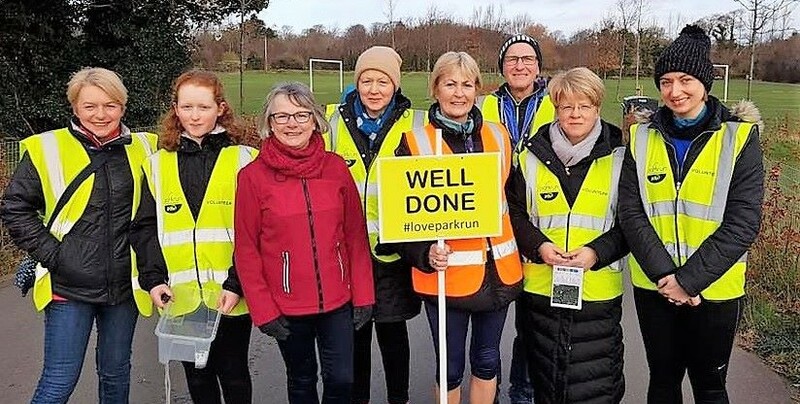 Six years on, Event Director Michael McMahon tells us how this pioneering event brought parkrun to Ireland, and talks about the big impact it is having on the local community. I had heard about parkrun in the UK and knew there were a few already in Northern Ireland. So I went up to visit Matt Shields at Waterworks parkrun in Belfast and it was exactly what I hoped and expected – totally community driven, friendly and inclusive. I always remember the big cheer I got when Matt introduced me as the guy who was going to start parkrun in Ireland. It took a while after that to get everything organised, but it was worth it, to see how huge parkrun has become in six short years. Our course is a nice combination of two loops. The first is a short lap around a small golf course and the second larger loop winds its way through woods and open parkland. It’s quite scenic, and reasonably flat and fast.You have to crane your neck to see it, but Malahide Castle itself is our most prominent landmark, dating back to the 12th century. We get a lot of ‘parkrun tourists’ from overseas, including ‘Ryanair’ day trippers from the UK. The park is a big destination itself with lovely gardens, and the Avoca cafe and shop, and we’re close to Dublin airport and the DART train line. We try to make all visitors very welcome and they seem to enjoy it. After the event we go to the Avoca cafe next to the castle itself. We seem to have a particularly mild climate as well, maybe from being close to the coast, but we have only ever had to cancel our event once in six years, during the bad snow storm last winter. We’ve had lots of special moments over the years. Monica Flanagan is one of our regular runners and volunteers and has completed 80 different parkruns, 78 on the island of Ireland and was one of the first Irish parkrunners along with Seamus Kavanagh (another Malahide regular) to complete 250 parkruns. parkrun has had an amazing impact at Malahide and surrounding areas. 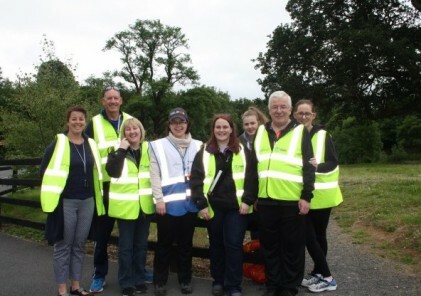 It has encouraged many physically inactive people to get active walking or running, and even many of those to go further and join local athletics clubs like Portmarnock AC, or the women’s running group in Swords “Sloggers 2 Joggers”. The Malahide parkrun website is here, and the Facebook page is here. You can view more parkrun profiles from around Ireland here.